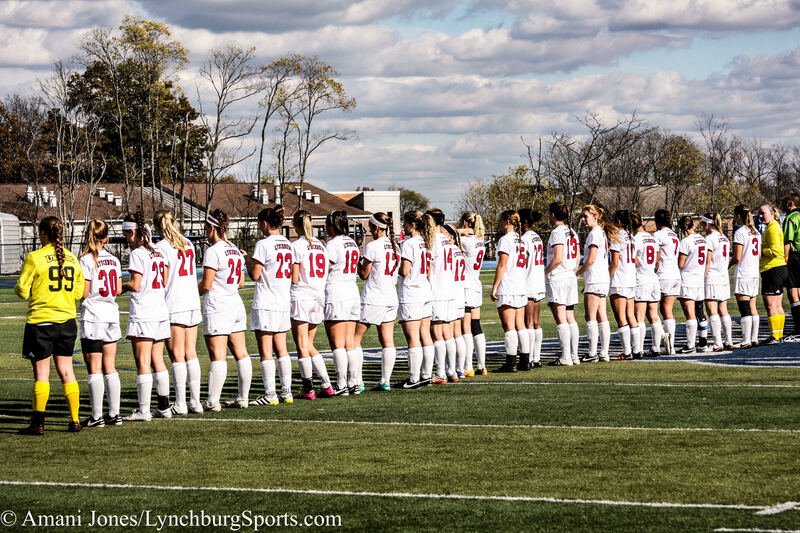 Lynchburg College’s Women’s Soccer Team stands for the national anthem during a game. Photo by Amani Jones. Fall 2016.